Ever wonder how the National Screen Service printed the inserts and half-sheets? Home » Ever wonder how the National Screen Service printed the inserts and half-sheets? 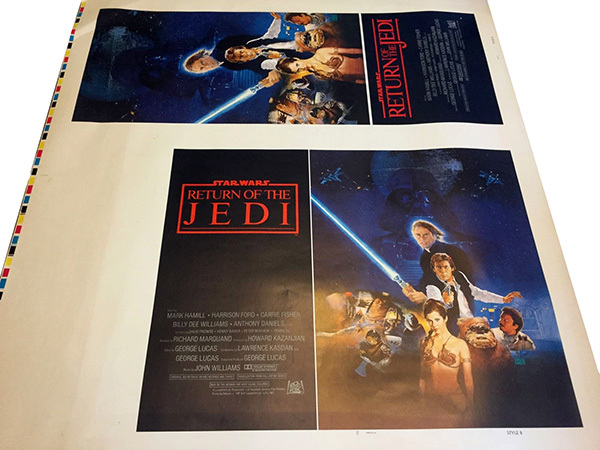 Here are two pictures that show how the National Screen Service printed the half-sheets and inserts together on the same 30" x 36" heavy poster stock. 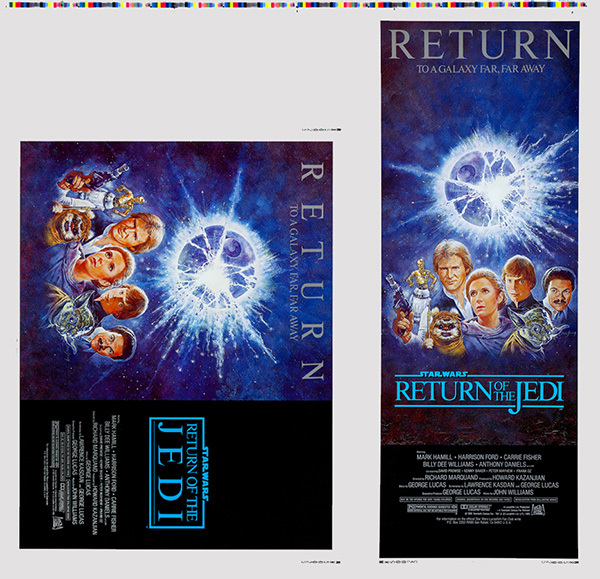 These are uncut proofs from the Return of the Jedi style "B" international half-sheet & inserts, and the '85 re-release half-sheet & inserts versions. Norwegian Star Wars newspaper ad. Here is a side by side concept sketch drawing by Thomas Jung for the Revenge of the Jedi film.